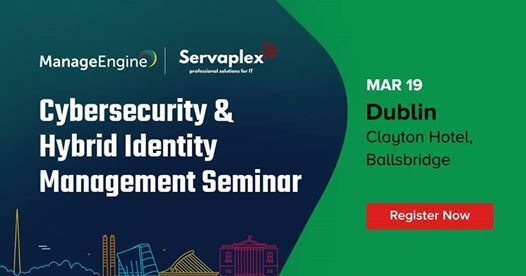 We are delighted to announce that ManageEngine's Cybersecurity & Hybrid Identity Management seminar is all set to kick off in Dublin on March 19. 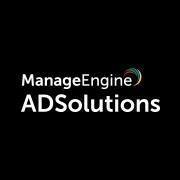 Technical Evangelists from ManageEngine ADSolutions team will present the best practices to secure your IT environment. 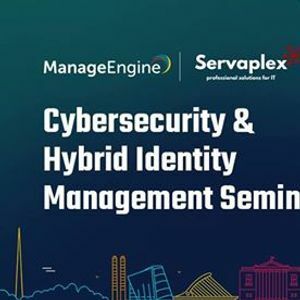 This is the need of the hour as it will ensure that your environment does not fall prey to any of the rapidly rising, weirdly named and any unknown security threat lurking around the corner. They will also share pro tips to manage, monitor, and audit your Active Directory efficiently.